Texas Rangers' outfielder Choo Shin-soo's on-base streak has ended at 52 games. 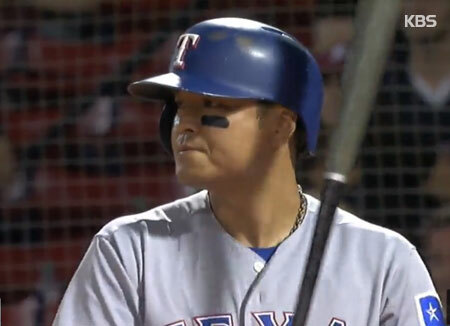 Choo went 0-for-4 with two strikeouts in a 16-3 loss to the Cleveland Indians in Arlington, Texas on Saturday. Choo was pulled from the game in the eighth inning after grounding into a fielder's choice. The longest on-base run by an active major leaguer ended, but the 52-game stretch is the longest such single-season streak in the Rangers history.